I’ve just returned from the wonderful Let’s Test conference in Sweden. The conference had many good talks, very wise and knowledgable people and lots of great discussions. Besides all that, games played a central role at the conference. For some reason testers, myself definitely included, like to play games. At several test conferences games are played and test puzzles are solved in test labs and workshops. I remember last years speakers dinner at the agile testing days turned into a massive riddle solving party. Let’s test however took it one step further. And I contributed with a new game: Spaceteam!Not only was there an awesome games night hosted by Paul Holland & Michael Bolton. They also facilitated a half-day tutorial on how to create your own game and there even was a track session by Christin Wiedemann and Martin Hynie on the science of playing games and how it might impact a testers brain. So with my favourite games packed I went to Let’s test! The main theme on testers games most of the time is pattern recognition. You either have to discover a pattern, like Zendo or the art collector card game, which was played by many and hosted by Paul Holland at Let’s Test. Or you have to recognise the pattern and score points doing so, like the almighty SET. I however had just discovered a game that had a different theme. This games was about speed, team work and communication. A game that I thought also was of value to testers. And so I had a mission: Play, share and evaluate Spaceteam. Spaceteam is a mobile app that can be played with 2 – 8 players. The mission is to collaboratively fly a spaceship. 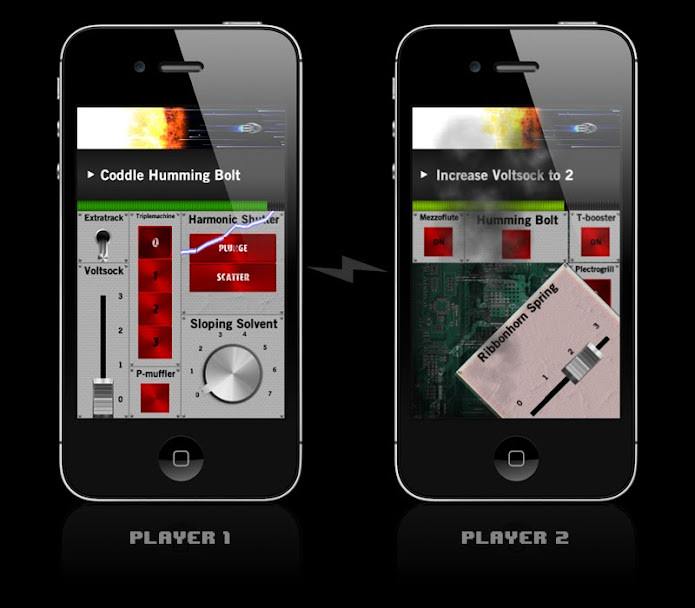 On the mobile devices all players receive instructions and have a control panel. The instructions tell you what buttons to push or what knobs to turn. However, the instructions you get on your device may have to do with controls on somebody else their screen. The result: A shouting and button bashing party! During let’s test I was involved in 3 spaceteam adventures. The first one was a brief play with Stephen Blower, which the next day led to the third play with Paul Holland and Erik Davis. (See above video) The 2nd adventure turned out to be a special one though. During games night I found Joep Schuurkes, Viktor Johansson and Cecilie Mosfeldt willing to be my fellow space mates. However, due to some technical issues Joep could not play (Sony phones apparently don’t like to play Spaceteam). Joep did stick around as an observer though. After we played it for half an hour we evaluated our adventure and observed what we learned from this game. Which took us an hour! So we definitely got on to something here! What did we get on to? Don’t communicate instructions you have on your own control panel. So get to know your own controls. Confirm that you executed an instruction (A lesson learned from how the bridge works in Start Trek). So get to know the controls of your team. We take turns and wait for each others instructions. Like ‘controls’, in software teams team members also need to find out their own, and each others, responsibilities and competences. Agreements need to be made as well. A retrospective and a definition of done might help to communicate these responsibilities for instance. And so we did in our game. After some time we got the hang of it and concluded that the first two improvements worked. Taking turns however did not. We simply ran out of time. Simultaneous communication was needed. Multi-tasking was key. However with knowing each others controls multi-tasking became easier and instructions were no longer shouted into the group, but pin-pointed to a specific team member. The team became a well-oiled machine and could cope with more complex challenges. The game get’s more challenging because more complex controls are added in new stages. There are actions where everybody has to do something at the same time (Astroids: Everybody flip!). More complex though are ‘symbolic controls’. Controls are no longer described in English, but by an unknown character or icon. Some of which are hard to describe. In order to get your team to execute the instructions you need to be sure your fellow team members can recognise the same symbol. Conventions help a lot, but this does mean in some cases that people need domain knowledge in order to understand what you mean. If I would give the instruction ‘Enable heartbeat’ (See control panel on the left) someone probably would figure out the right symbol pretty soon. However, the instruction ‘Switch Firewire’ probably would not be clear to everyone. Not everyone knows the symbol of Apple’s serial bus interface. In that case ‘Enable the symbol that has a circle that has 5 stripes around it, one of which is quite thick’ would probably work, but takes quite a lot of time to send and interpret. It might help if the team can find a ubiquitous language in this case. And that’s one of the things that is quite essential when it comes down to proper software development. And if that’s hard, the team should at least be aware that you need to speak the same language as your target audience. Something we also learned during Let’s test from James Bach’s tutorial ‘Describing what you see‘. By playing this game we discovered that chaos was better managed when you have experience and agreements that suits the team. Chaos then got converted into order. Does this sound familiar to you? It did to me! This is exactly why you can use Spaceteam in your team. Retrospective: Just play the game for a round or 2 and evaluate what happend in the team. After that try to link it to your specific situation at work. It can show the importance of discipline, sharing knowledge and competences, having a Definition of Done or a ubiquitous language. It might also be that certain behaviour of team members come out quite clear. You can discuss this behaviour in a more informal way. If you shoot a video of the team playing, it might make things even more interesting (or confronting. So watch out a bit here). Make a point for focus and defocus: Play the game and see how long people can play it continuously. It’s quite intens and you need to keep constant focus in order not to lose. You can’t play the game for a whole day. Just like you can’t do test sessions all day long. 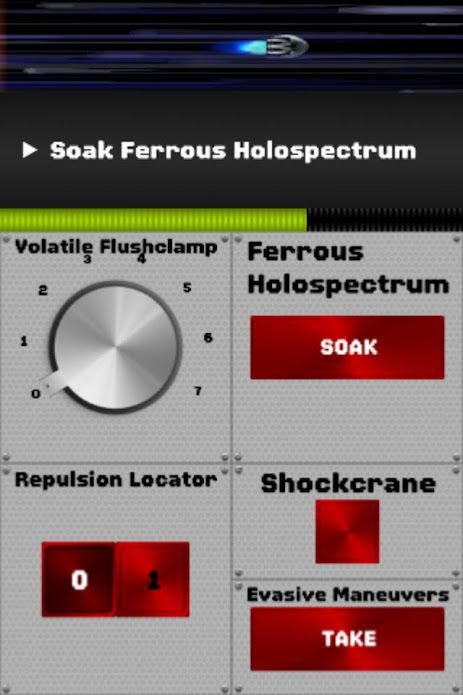 Simulate a chain test: Joep mentioned that playing Spaceteam has some similarities with a big coordinated chain test. Did you have sessions where people intensively mail or chat with each other during a chain test? Some unknown knowledge can come up during such sessions (Jon: “Please restart JVM23.” James:”JVM? Ah! Machine 0023 you mean.” Jon:”Uhmm..no that’s the database on production.” James:”Oops, too late.”) Playing a game of space team might tell you that you need to rehearse a chain testing first or make a checklist to align for instance. Make a point for self organising teams: Play the game and let someone play the role of a project manager that organises all the instructions and communication. It will probably horribly fail. If not please let me know how you figured out to make the role useful. So if you have a team and want them to learn something on team dynamics or on software development try Spaceteam. From here on it’s up to you to lead your space cadets in to glorious adventures. Just take 15 minutes, learn something and have some fun! If you have other interesting findings or ways to use Spaceteam or other tools please leave a comment, mail me or send me a tweet.